St Marie’s Heritage Group would like to invite you to join us for a fun, entertaining evening inside St Marie’s as we commemorate the 150th anniversary of the opening of the church. Enjoy a nice cup of tea, a slice of cake and take a walk down memory lane with our Bachelors Tea Party & Dance. 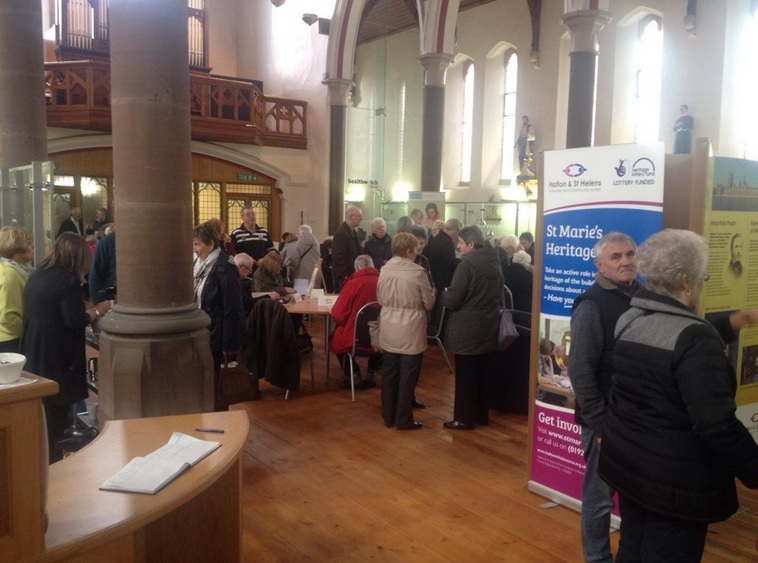 Prior to the re-opening of St Marie’s in September last year, the St Marie’s Heritage Group asked former parishioners to bring in any memorabilia or keepsakes that they had relating to the church. 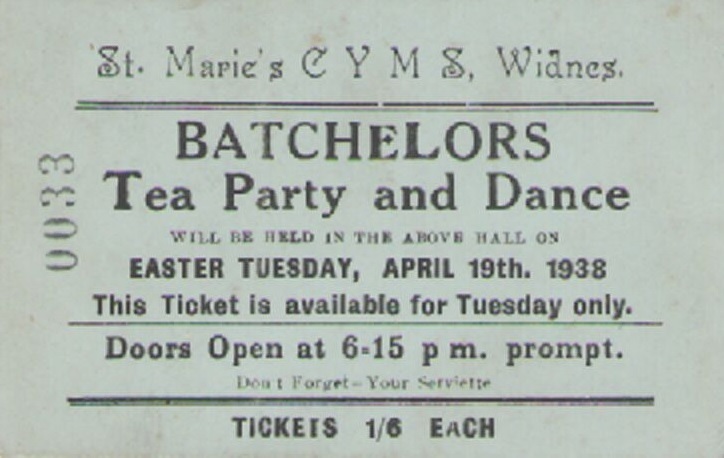 One submission was a ticket for the Bachelors Tea Party and Dance from April 1938. That ticket has been the inspiration for this event and we’ll be trying our best to recreate it. 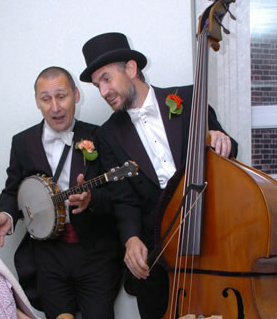 Live music (such as would have been played at that time) will be provided by the magnificent Music In Hospitals so there’ll be plenty of opportunity for a dance or two. The event will start at 19.00 and end at 21.00. If you are unable to register online, please telephone Matthew Roberts on (01928) 592 405. Has St Marie’s Church played an important role in your life? Perhaps you regularly attended mass, or maybe you were christened or got married in the church? Perhaps you attended St Marie’s (or St Gerard’s) school? Or maybe you grew up on one of the streets that used to surround the church? Regardless of what your links to St Marie’s are, The St Marie’s Heritage Group would like to invite you to join us for a friendly, informal get together as we commemorate the 150th anniversary of the church opening its doors for the first time. Meet old neighbours, make contact with old friends, chat and reminisce about St Marie’s over a cup of tea and a chocolate biscuit. The event will start at 13.00 and end at 15.00. There will be a musical performance at the conclusion of the event. Attendance is free, but visitor numbers are limited, so please book your place by clicking on the “Register Now” button below. You can do so online at https://www.haltonsthelensvca.org.uk/civicrm/event/info?reset=1&id=211 or by telephoning Matthew Roberts on (01928) 592 405.